SatriaNeoCrews is a new club dedicated for Proton Satria Neo owners. An online community known as www.satrianeocrews.com was created early January 2009. This only community serves as a platform to gather owners of Proton Satria Neo in Malaysia. It allows members to discuss, share information and exchange knowledge with regards of motorsports. It also provides information, such as updated events and calendars, road safety, latest merchandise, etc to members. Members benefit themselves through the bonds of friendship formed by attending countless TTs, big events and fun rides. Started with only a small group of people, this group had only less than 30 members. As today, there are about 1500 registered members signed up and actively participate in the on-going activities held across the nation. Represents Proton Satria Neo owners collective voice communicated through dialogues, official gatherings and social events for mutual benefits. To establish friendship, share common interests and social services. To create publicity and support on the joys of owning a Proton Satria NEO through the internet, media coverage, printed materials, road shows, site visits and auto events. To encourage Proton Satria Neo owners nationwide to join the club and enjoy membership privileges for both young and old. To organize dialogues and forums between manufacturer, car owners, prospective owners and other organisations to gain input and feedback on Proton Satria Neo. To undertake social activities and charity works for better club image and instill healthy relationship between club members and the public - Whole new community. Among the major events that we conducted including the first AGM (Annual Grand Meeting) was held on the 31st January 2009 which took place at Presint 16, Putrajaya to appoint high committees and to discuss about the arisen issues and our yearly plans. Another event was a convoy trip to Mersing, Johor,which was held on the 4th-5th April 2009, in conjunction with the Aman Palestine fund raising. In this event, members from East Coast, Central and Southern region participated in aiding and collecting financial donations to be channeled to the Palestinians through the Aman Palestine fund. 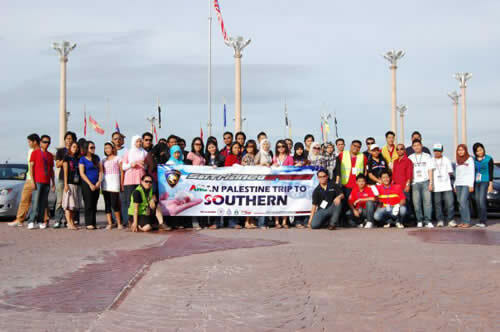 In addition, ‘Northern Crews to Terengganu’ trip was held between the 5th till 7th June 2009, which involved members from Northern, East Coast and Central regions. All members gathered and put up in a resort in Pantai Merang, Terengganu. 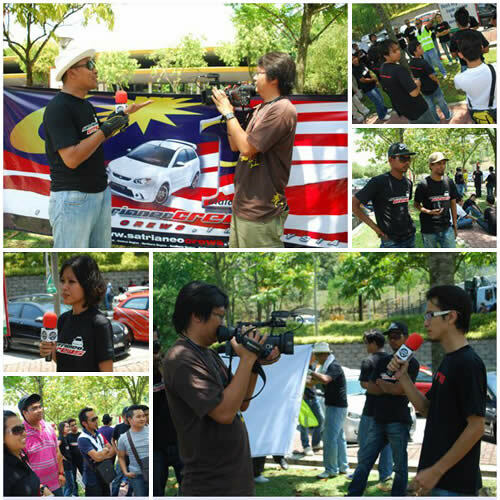 During this event, we managed to gather nearly 60 Satria Neo cars and over a hundred members from the various regions. Recently, the biggest event was held between 8th to 9th August in Teluk Batik, Perak. There were about 140 members, which involved 80 Satria Neo cars from all over Malaysia. Mr Azri bin Jaafar (The secretary of UMNO – Lumut region) was invited for the closing ceremony. These major events were done with the co-operation from the authorities, which we consulted them to assist us on the road, allow us having legal convoys, etc. We also had our own marshalling team that guided participants throughout the journeys. Apart from the major events held, members are encouraged to take part in events that involve motorsports activities, such as open tracks, auto shows, endurance races, and many more. Jom Ronda Bersama Proton was held between the 5th mach 2010, which involved members from Northern, East Coast and Central regions. All members gathered and put up in a R & R sungai buloh During this event, we managed to gather nearly 90 Satria Neo cars and over a hundred members from the various regions. TELUK BATIK- Bagi mempromosikan kereta buatan Malaysia kepada pengguna kereta yang mana kereta nasional setanding dengan produk luar negara. Sebanyak 70 kereta Satria Neo bersama 140 ahli Kelab Pemilik Kereta Satria Neo Crews berkampung di Teluk Batik selama dua hari satu malam bagi menyertai Perhimpunan Teluk Batik anjuran ahli kelab Bahagian Perak. Pengasas Kelab Satria Neo Crews Mohd Shafiecq Harun berkata, sejak mulai setahun lalu berjaya mengumpul keahlian seramai 800 orang di seluruh Malaysia, Brunei dan Singapura melalui laman webnya iaitu www.satrianeocrews.com. “Aktiviti Perhimpunan Teluk Batik adalah suatu platform bagi semua ahli berkenalan secara maya untuk bersua muka bagi mengeratkan silaturahim dan muafakat selaras dengan konsep 1Malaysia. “ Perhimpunan ini juga turut dapat bertukar-tukar idea sesama ahli kelab mengenai hak ehwal kereta mahupun perihal aktiviti kelab.” katanya lagi. Menurutnya, pelbagai aktiviti menarik diadakan bagi mengeratkan lagi hubungan dalam kalangan ahli kelab yang juga ada daripada luar negara. Ia juga salah satu cabang promosi yang dapat menarik minat mereka membeli kereta buatan Malaysia. Sementara itu, Majlis penutupan Perhimpunan Teluk Batik dihadiri Setiausaha UMNO Bahagian Lumut merangkap Pegawai Khas Adun Pangkor, Azri bin Jaafar. Azri berkata, acara yang dilakukan ini menjadi salah satu cara bagaimana mempromosikan kereta buatan Malaysia ke peringkat antarabangsa. “Ini juga adalah salah satu cara bagaimana untuk melaksanakan 1Malaysia yang dilaung-laungkan Perdana Menteri , Datuk Seri Najib Tun Abdul Razak. “Ini kerana bukan sahaja warga negara kita dapat berkumpul tetapi bahkan rakan dari luar negara juga dapat berkumpul bersama-sama pada hari ini (semalam),” katanya. Menurutnya, ini juga membuktikan produk buatan Malaysia iaitu kereta ini diterima pakai bukan sahaja orang Malaysia bahkan juga orang antarabangsa.